What visit would be complete without seeing the marvellous Trevi Fountain and throwing a coin into to ensure your return to the eternal city. The piazza is completely consumed by this enormous fountain, and is a real hub for visitors to the city. The fountain is actually stuck onto one whole side of the ‘Palazzo Poli’ and has as it’s central figue Neptune. The theme is the contrast between the tranquil and stormy seas and this is represented by various figures surrounding the dominant Neptune. The area is beautiful to visit at any time of day but illuminated by night it is a real spectacle. They don’t get much more impressive than the authentic Piazza Navona. 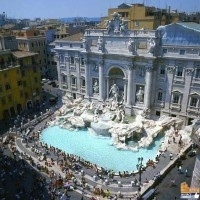 A large oval shaped piazza with three fountains running along it’s centre line, two of which were designed by Bernini (the ‘Fontana del Moro’ and the ‘Fontana dei Quattro Fiumi’). Piazza Navona is thronging with life and here you will find a variety of street entertainers and a great array of street artists ready to do your portrait or sell you their work. 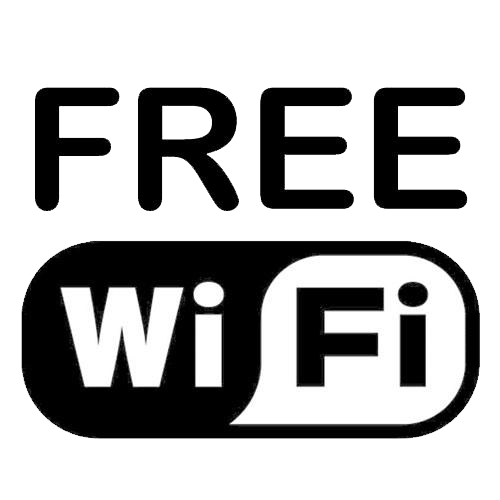 The entire square is linedwith restaurants and cafès that have most of their seating outdoors, from where you can soak up the atmosphere ‘al fresco’ style! Leading off of the main piazza you will find a maze of small roman streets with a variety of traditional eateries and roman stores that are well worth a stroll around. 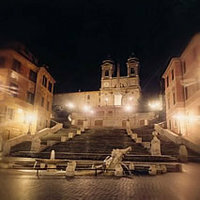 The official meeting place in Rome, Piazza di Spagna is truly breathtaking, although it can get very overcrowded at times. The backdrop is the famous staircase leading upto the church Trinità dei Monti, and for who can make the climb to the top there is a stunning view over the rooftops of Rome. Located in the city’s main shopping district you will find the famous Via Condotti leading off of Piazza di Spagna with all it’s boutiques including Gucci and Prada, as well as more affordable shopping streets such as the Via del Corso and Via Frattina. The actual Spanish Steps are wonderfully adobed wduring the various seasons of the year, with the springtime being particularly splendid dressed in flowers. 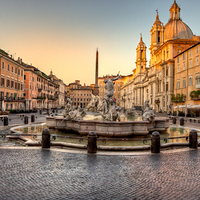 At the centre of the square you will Bernini’s ‘Barcaccio’ (old boat fountain). A very lively piazza that comes to life particularly during the evenings when people meet here to enjoy a drink in many of the bars that line the square. 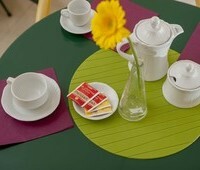 From the swedish bar to the english pub and italian wine bar there is something for everyone. During the day the main spectacle is the big flower, fruit and veg market that is colourful and interesting to walk around. A highly traffic congested square, Piazza Venezia is certainly not a quiet place to be! The square saw many changes during the fascist regime in the 19th century and you can witness the balcony on the Palazzo Venezia where Mussolini frequently greeted his crowds. The square is also home to one of Rome’s greates mouments ‘The Vistor Emmanuel’ monument, which rules the piazza in all it’s white marble splendor. This enormous structure destroyed many medieval buildings in orderto be developed, including those of the ancient remains of the Capitol, and is an immense contrast in architectural style to the enarby Roman Forum and Colosseum. 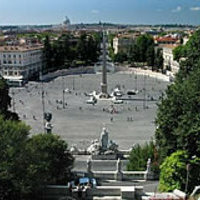 The construction of the square was entrusted to Michelangelo by Pope Paul III who wanted to give a mdern setting to the ancient remains that were the Capitol Hill. The most fundmental thing about this square is that you have the possibility to view the remains of the Roman Forum from a viewing bay that gives a great idea of the immensity and and grandeur of what was once the roman empire. 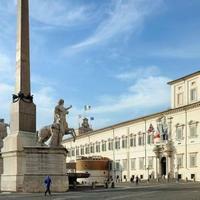 Home also to the renowned Capitoline museums this small corner of Rome is a must see. The grand entrance to the Vatican and St. Peters Basilica this sqaure is immense in it’s siza and completely surrounded by columns and imposing statues that add to the grandeur of such a fine place. 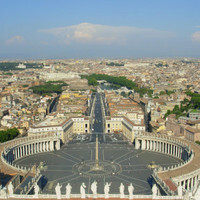 One of the world’s most visited sites the Vatican is a state in it’s own rights so take a step out of Italy into the walls of the Vatican to marvel at the the home of christianity and some of the best artwork in the world. 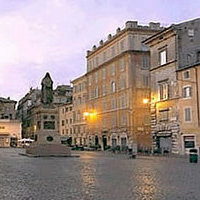 The piazza was a creation of Bernini and Alexander VII (1655-67). As with most italian squares Piazza Colonna does not disappoint in it’s size and grandeur. Located half way down the Via del Corso you will find this large opening that houses the Palazzo Chigi (an important governmental building that houses the seat of the president of the council). 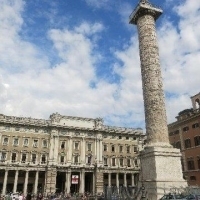 In the centre of the square you will find the impressive column of Marcus Aurelius that illustrates from top to bottom the emperor’s wars against the Sarmats and Germans. A relatively small square by italian standards that is dominated by the incredibly immense Pantheon that overlooks the piazza in all it’s glory. This splendid if not particular church is made all the more interesting by the hole in it’s roof and is a must see whilst in Rome. 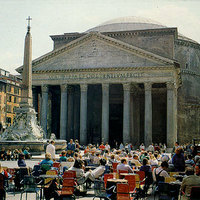 The square in itself is home to a number of restaurants and is the perfect place for a bite to eat or a refreshment with McDonalds taking pride of place and boasting the best views of the Pantheon! This square is frequently host to music concerts open air exhibitions due to it’s great dimensions and on New Years Eve a firework display can always be viewed from here, if you don’s mind staying amongst the crowds! There are three main roads leading off of this piazza, Via di Ripetta, Via del Corso and Via del Babuino and at the centre of the square you will find two very imposing churches from the 17th century that are almost identical. At the very centre you will find the obelisk of Ramesses II that is close by the piazza’s central fountain. For those wishing to svaour the atmosphere why noot go for a coffee at one of the squares two famous cafès ‘The Rosati’ and ‘The Canova’. 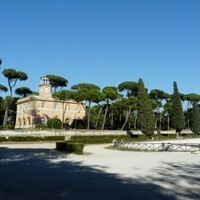 Immersed in the lush greenery of the Borghese parj this piazza is most famed for annually hosting a prestigous horse championship. Designed towards the end of the 18th century to look like a roman ampitheater the tranquil environment of this piazza and it’s surrounding parkland is a nice alternative to the buss of the city centre. Like the great Piazza Venezia, Piazza Barberini is certainly not lacking in traffic and noise, in fact trying to cross the road here is a mighty challenge! 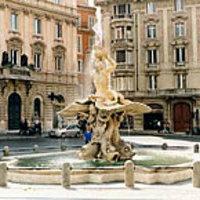 However for those passing by this square don’t forget to marvel at Bernini’s two fountains that are believed to be amongst his greatest masterpieces. From here you can pick up the Line A Metro as well as find the Via Veneto that begins off of this square. This is the royal court of Rome, home to the president of the Republic since 1947 and before that home to the King in times gone by when Italy still had a Royal Family. The Quirinal Palace stands proudly as the main focal point of the square, but there is also a centrally located fountain with surrounding great horse statues that were originlly placed on the Baths of Constantine. 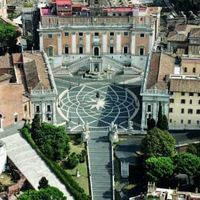 The Quirinal square gives great views over the rooftops of Rome and from here you can take the stairs down to the Trevi Fountain. 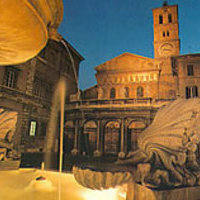 This lively and ancient quarter of Rome has it’s focal point as the Piazza Santa Maria in Trastevere. The great labrynth of streets all lead to this small square that is home to the church of Santa Maria in Trastevere with it’s gold moasica on it’s facade that are particularly breathtaking illuminated by night. The area is a mecca for young romans due to the square and surrounding streets abundance of bars and eateries.